My hubby is nothing, if not a thoughtful man. Why else would he get me the new Game of Thrones season set, EVERY year for my birthday…. Why else would he happily enable my Star Wars Lego Mini-fig habit? Why on earth would he rewire all our Internet cables in the house so we, I mean I, could get caught up on Breaking Bad on Netflix before the last season started on TV, if it wasn’t out of love for me? And for our most recent anniversary, that is what he gave me. I’m telling you, this guy’s a keeper! When we had our #1, he gave me a charm bracelet, and every milestone he gives me a new charm. 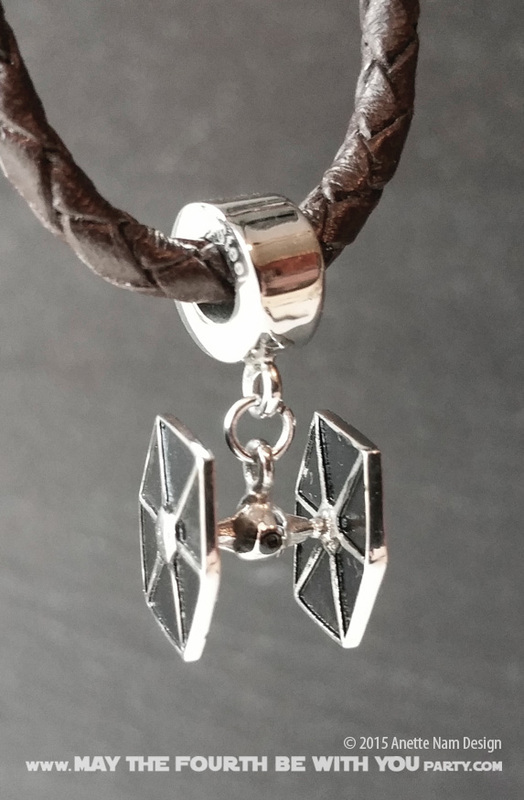 And this year I got a Star Wars one, ‘cuz, you know, the movie is coming out… and that is BIG! 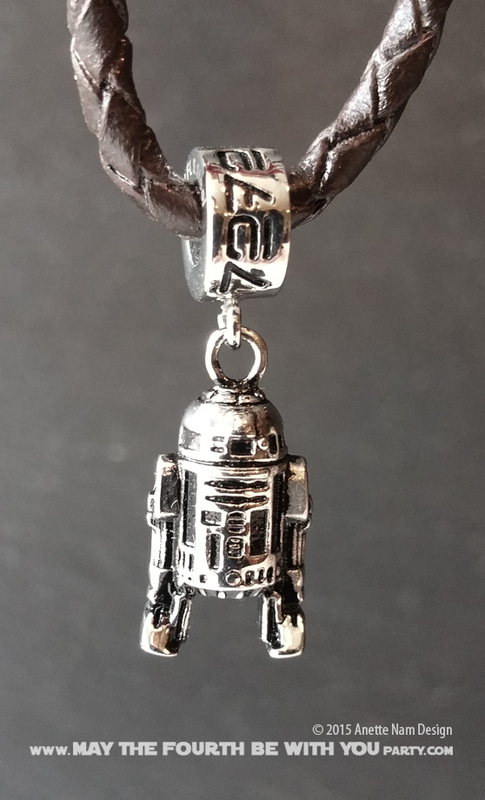 So listen up Gent’s, if you have already equipped her TV with high speed Internet, AND bought her her favorite Sci-Fi series box set, there is always the option of jewelry… And rest assured, this is the kind where you can still feel totally secure in your geekiness. 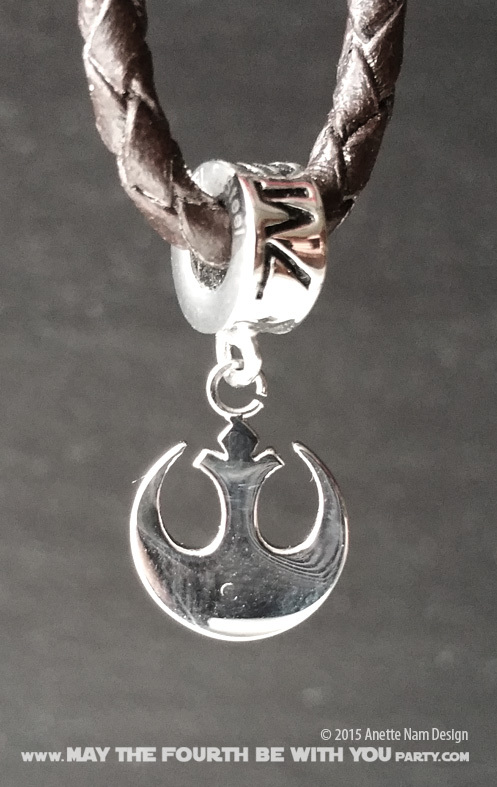 The reversible Empire/Rebels charm is in silver and can be found at Kay Jewelers. 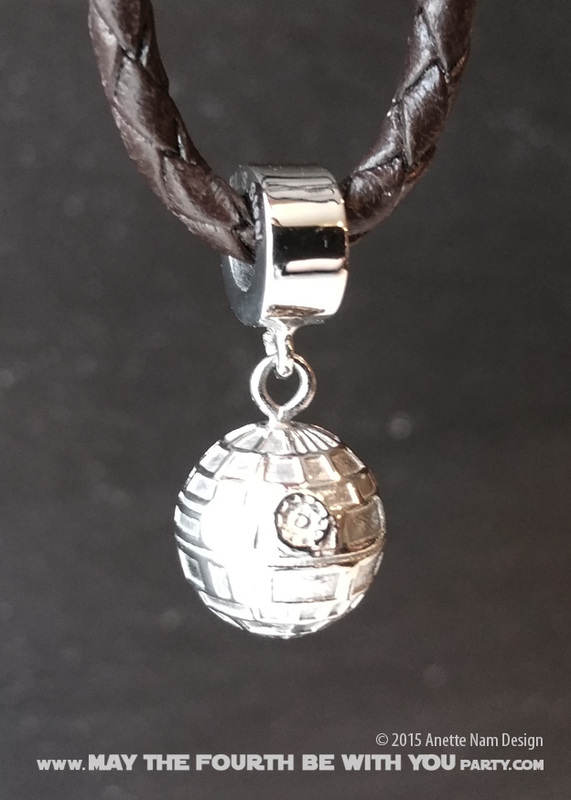 The charm had a large ring to fit on a Pandora-style charm bracelet. Since I have a linked bracelet, the charm had to be retrofitted to fit, but it was nothing my beading kit couldn’t handle. Im case you a re looking for more options, these Stainless Steel Charms that I bought for a yet-to-be-determined project, are also really nice. I got mine from ThinkGeek at one of their really good sales, but everyday prices are usually better at Amazon .